CORPUS CHRISTI — A professing atheist has filed a lawsuit against a Texas pastor for allegedly violating the law for inviting the city mayor and council members to the ground breaking ceremony for his church’s project to build what it is heralded as being the largest cross in the Western Hemisphere. Patrick Greene of San Antonio filed suit on March 8 against Rick Milby with Abundant Life Fellowship in Corpus Christi, asserting that the pastor violated the Texas Constitution by showing preference to the Christian religion. 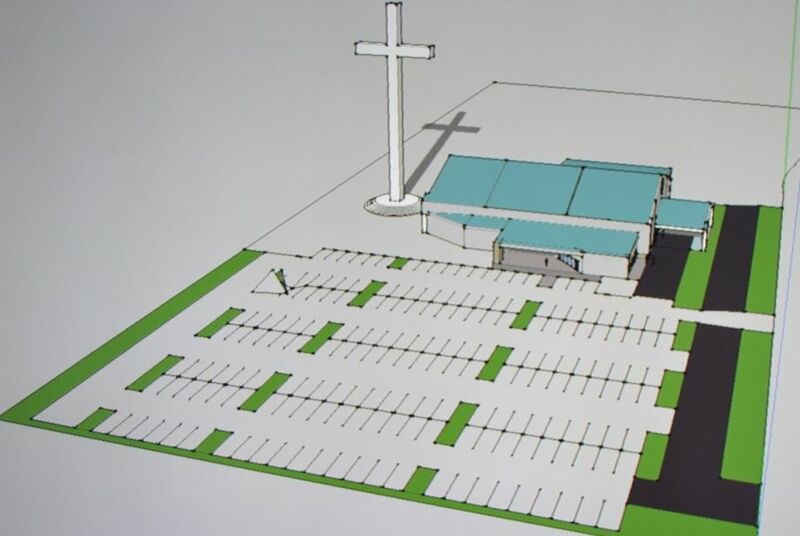 Abundant Life Fellowship is the midst of its plan to build a 230-foot cross along Interstate 37 in Corpus Christi. The land is owned by the congregation and the project is being funded by private donations. Because Milby invited Corpus Christi (Latin for “Body of Christ”) Mayor Nelda Martinez, along with Council Members Lucy Rubio and Carolyn Vaughn to attend the ground breaking in January, Greene filed suit against the pastor for the co-mingling of God and government. “When I saw the mayor in her official position and the council in their official positions were attending a groundbreaking ceremony for a Christian symbol—that smacked right in the face of the Constitution of the state of Texas,” Greene told Fox reporter Todd Starnes. He is expected to add Martinez, Rubio and Vaughn to his legal challenge for attending. Martinez told reporters that the cross held personal meaning as her father had long desired for such a structure to be built on the bay. City Attorney Miles Risley agrees with Martinez and believes that Greene is misinterpreting the law—that the mayor and city council could legally attend of their own volition if they desired. Attorney Jeremy Dys of First Liberty in Plano made similar remarks, stating that government officials who identify as Christian shouldn’t be punished for attending Christian services. Greene, who lives nearly 150 miles away from the cross structure, has also complained about the concept of the project altogether, calling it “tacky” and a distraction to drivers. “Church property or not, the [pastor] showed incredibly poor judgment in putting it where everybody can see it—just because he wants to proselytize his faith and get converts,” he said. Greene’s lawsuit only pertains to government attendance to the ground breaking ceremony and not any safety concerns.